Porta Communications has appointed Steffan Williams, former partner at Finsbury and co-founder of Publicis-owned Capital MSL, as group managing director, with a remit to "lead the next stage of the group's development". Steffan Williams: Appointment is a "great start to an exciting period of development"
Williams co-founded Capital MSL, part of Publicis' MSLGroup, in 2001, where he stayed until joining Finsbury in 2013. During his time at Finsbury, Williams worked on a number of high profile M&A transactions such as Holcim/Lafarge, Greene King/Spirit and Crown/Rexam. 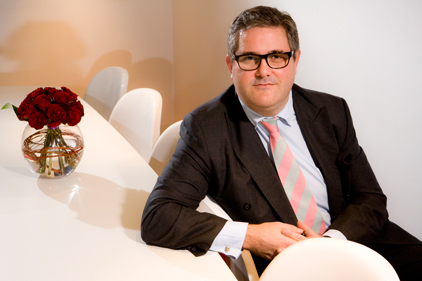 The 47-year-old, who will report to Porta CEO David Wright, is also vice-chairman of the PRCA. Porta, which owns PR agencies including Newgate, Thirteen, Redleaf Communications, Publicasity and PPS, said in a statement this morning: "Steffan will have the responsibility to lead the next stage of the group's development including recruiting the best available talent and improving the ratio of larger client mandate wins." Wright said: "I have always had a very high opinion regarding Steffan's qualities and this appointment is a great start to an exciting period of development at Porta." The announcement comes after a strong period of trading for Porta, which last week reported a 66 per cent rise in underlying earnings (EBITDA) in the first half of 2015, with fee income up 69 per cent. Organic growth was 17 per cent. It followed a number of acquisitions in the past year, including Publicasity and PPS. The latter has since been merged into Newgate. Wright told PRWeek last week that Porta’s focus was now on "building our established brands and expanding both our geographical reach and range of services".